Let’s start with the basics – what is torch-on roofing? Sometimes referred to as torch-down roofing, torch-on roofs are essentially a rubberized form of asphalt roof. Utilizing asphalt material that is melted onto the surface of a roof using a torch, a waterproof barrier is created and covers the entire surface of the roof. Most often applied to flat roofs, the torch-on barrier represents a uniform thickness and holds up well even when rain and snow collects and sits on the roof for an extended period of time. On the other hand, material on tar and gravel roofs is not necessarily applied in an even layer. So, what do you need to know about torch-on roofing materials for commercial roofs? In recent decades, torch-on roofs have become the go-to roofing solution for flat commercial roofs. 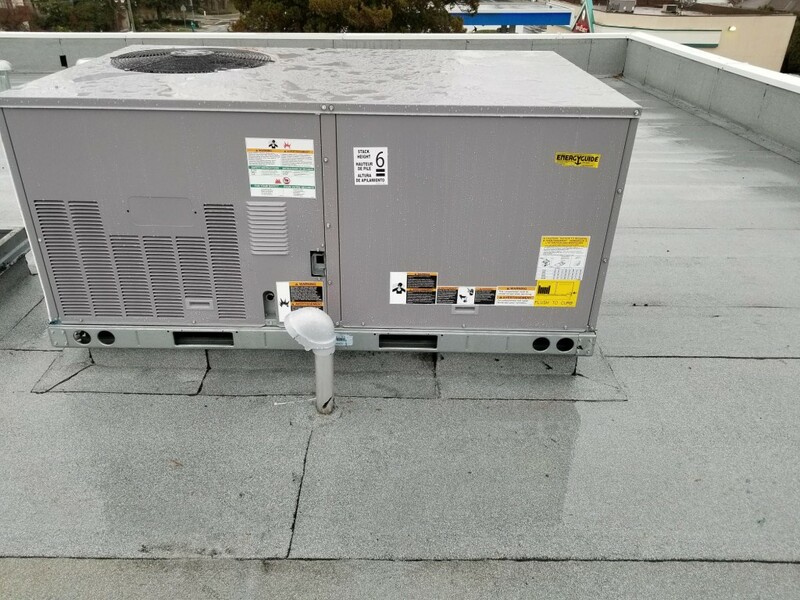 When installed by experience professionals, these roofs can last upwards of 20 years and as such represent an affordable roofing choice for both commercial and residential structures. The main materials used in torch-on roofing are modified bitumen and waterproof resin. 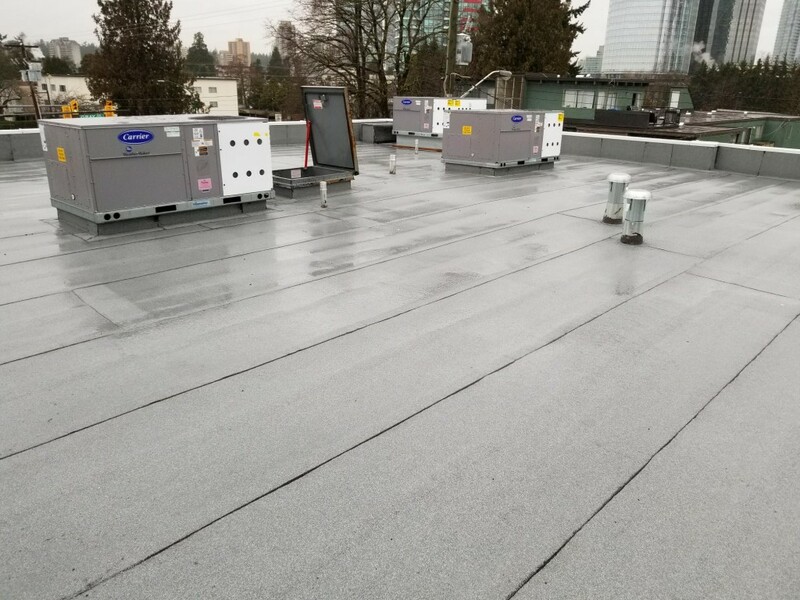 Essentially, layers of modified bitumen are combined with waterproof resins and are installed in layers to create a roofing solution that is not only waterproof but also withstands the ultra-violet light from the sun. During the installation process, there are other important materials that contribute to the structure of torch-on roofs. First, a base of fibreglass felt is secured to the flat roof with nails. During installation, this fibreglass layer is installed in a smooth, uniform layer across the surface of the roof and serves as the layer to which other roofing materials are attached. Next, rolls of modified bitumen are layered over the fiberglass felt. Using a torch, the bitumen is melted to the base layer to ensure the materials adhere to each other for a proper seal. Of course, roofing structures such as vents or chimneys that feature metal flashing must also be considered. A specialized material is applied to the flashing to allow the bitumen layer to form a solid seal. Finally, in many instances roofing professionals will recommend that a protective coating is applied. However, this coating is installed only after the roofing materials have adequately bonded and set which usually takes a few months. These coatings promote better fire and water protection while also protecting the roof from unnecessary tears and punctures. Most commercial business owners choose torch-on roofing for a number of reasons. First, it is durable but affordable and many torch-on roofs will last 20 years or more. Likewise, because torch-on roofs are highly resistant to damage such as tears and punctures, their maintenance requirements are reasonable. Repairs to torch-on roofs are relatively simple, and modifications are also straightforward.